I am super excited about the TPT Seller Challenge going on over at Peppy Zesty Teacherisita (LOVE that name!). 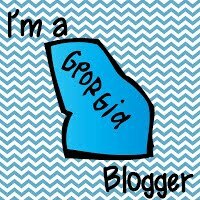 I am fairly new in the TPT and teacher blog world and I am always looking for ways to make improvements. Summer is the perfect time for me to spruce up some of my very first TPT products. One of my very first TPT product was “The Kissing Hand- First Week of School Activities.” I was REALLY into using polka dots in the beginning and the font is not the best. I kept the background more simple and font more vibrant! I also made Chester bigger! Little changes can really impact the sell of a product- first impressions are everything! In the product there is a craft to make Chester. I recently added REAL picture of how to make him. I think this is crucial when creating a craftivity. Check out The Kissing Hand at my TPT Store!The Kissing Hand at my TPT Store! I has some really fun activities to use with the book! Oh my goodness! How cute is this!! Our kiddos just LOVE The Kissing Hand! We use it at the beginning of each year. What an awesome product! Thanks! It is a great story for the first days! I love that the new cover! Chester looks adorable, and I bet the kids love making this! EEK! How cute is he!? I love that you added picture directions! SO SMART! So cute!! This looks great. Heading over to check it out!! Your makeover looks phenomenal...and great choice! Love Chester, and this activity! Well done! 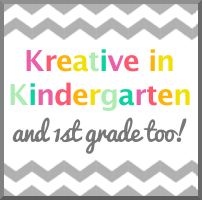 I will be following your blog as I also teach Kinder. I love how little changes like that can make such a big difference! Looks great!